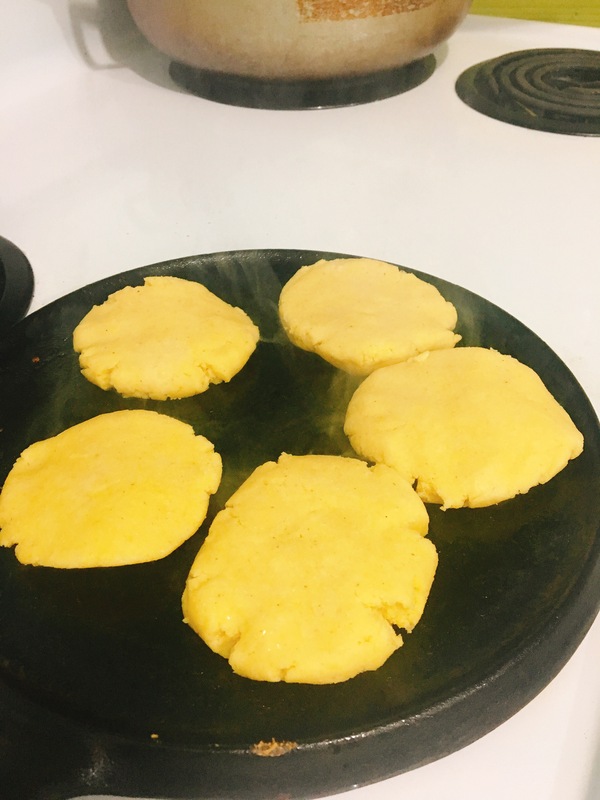 A couple of years ago, we took a family vacation to Margarita, an island off the coast of Venezuela and one morning for breakfast they served these small corn cakes that looked like a really thin English muffin, but when you bit into them they were just delicious. Since then whenever we need a quick something to go with breakfast or dinner it’s our go to recipe. And the best part is that they’re Gluten Free! Traditionally they use whole corn kernels that are blended, but I’ve omitted that step and use only corn flour. I hope you enjoy these as much as we do. 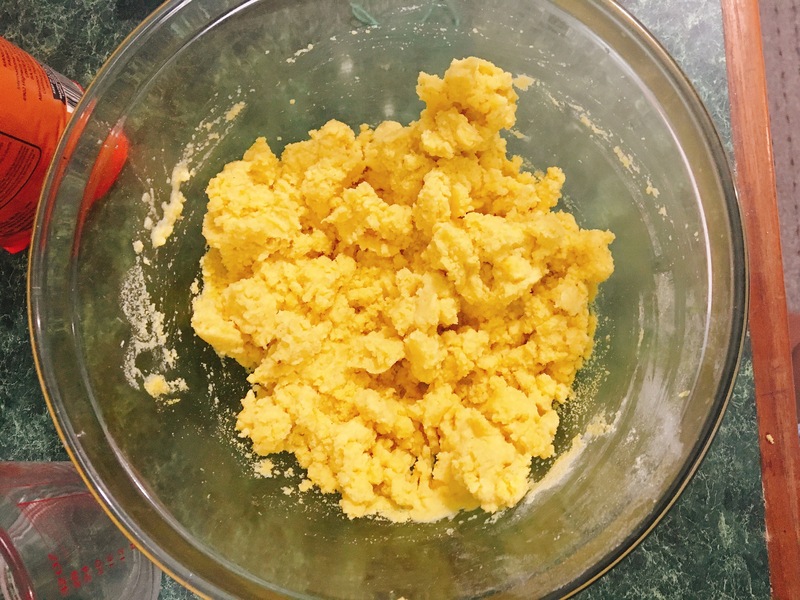 In a large bowl combine all the dry ingredients and whisk to mix thoroughly. Add the coconut oil to the dry ingredients and with a fork mix while slowly adding the water. Once all the water is added use your hand to knead the mixture until it forms a dough. 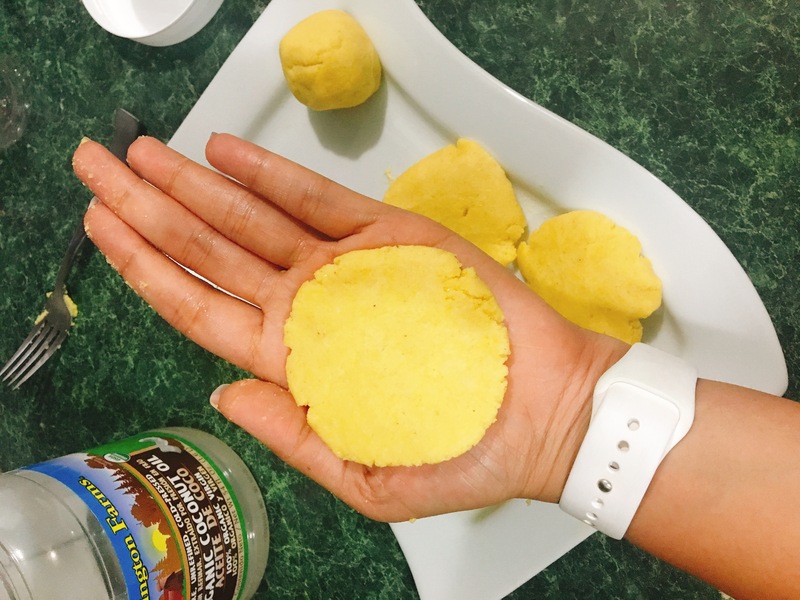 Divide it into 12 individual pieces, rolling each one into a ball and pressing it flat in your hand. Remove from heat and enjoy!!! 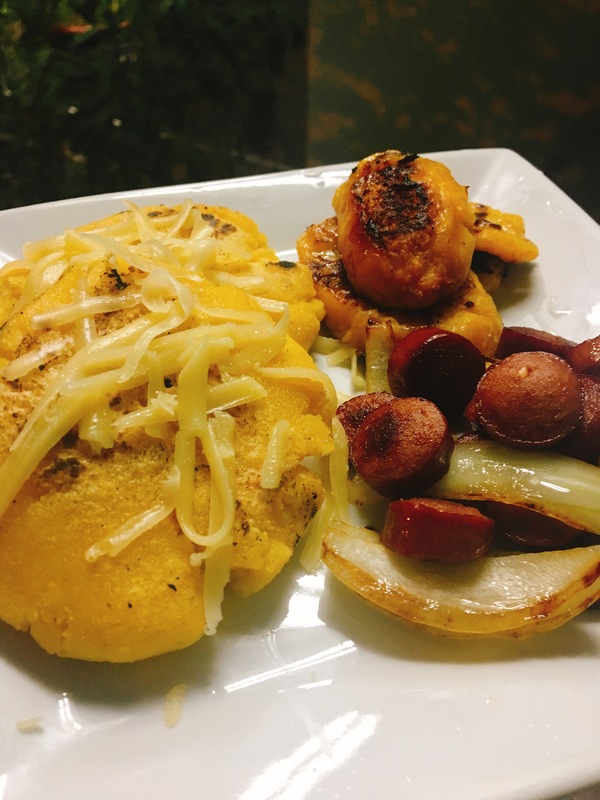 I ate mine with grilled plantains and sausages.